This medication is used alone or with other medications to treat attention deficit hyperactivity disorder (ADHD) as part of a total treatment plan, including psychological, social, and other treatments. Read the Patient Information Leaflet if available from your pharmacist before you start taking clonidine and each time you get a refill. If you have any questions, ask your doctor or pharmacist. Take this medication by mouth with or without food as directed by your doctor, usually twice daily (in the morning and at bedtime). If the doses are not equal, take the larger dose at bedtime. Do not stop taking this medication without consulting your doctor. You may experience symptoms such as headache, fast heartbeat, nausea, anxiety, and flushing. A rapid rise in blood pressure may also occur when the drug is suddenly stopped. The risk is greater if you have used this drug for a long time or in high doses, or if you are also taking a beta blocker (such as atenolol). There have also been rare reports of severe, possibly fatal reactions (such as stroke) from stopping this drug too quickly. Therefore, it is important that you do not run out of clonidine or miss any doses. Tell your doctor or pharmacist right away if you are unable to take the medication (for example, due to vomiting). To prevent any reactions while you are stopping treatment with this drug, your doctor may reduce your dose gradually. Consult your doctor or pharmacist for more details. Report any new or worsening symptoms right away. Other forms of this medication (such as immediate-release tablets) may deliver different amounts of this medication. Do not switch between the different forms of this medication without your doctor's permission and directions. Also, do not take other clonidine-containing products while taking this medication. What conditions does Clonidine Hcl ER treat? Dizziness, lightheadedness, drowsiness, tiredness, stuffy nose, dry mouth, or constipation may occur. If any of these effects persist or worsen, tell your doctor or pharmacist promptly. Tell your doctor right away if you have any serious side effects, including: fainting, slow/irregular heartbeat, mental/mood changes (such as irritability, depression). List Clonidine Hcl ER side effects by likelihood and severity. Before using this medication, tell your doctor or pharmacist your medical history, especially of: heart rhythm problems (such as slow/irregular heartbeat), stroke, low blood pressure, kidney disease. What should I know regarding pregnancy, nursing and administering Clonidine Hcl ER to children or the elderly? Does Clonidine Hcl ER interact with other medications? Laboratory and/or medical tests (such as blood pressure, heart rate) should be performed periodically to monitor your progress or check for side effects. Consult your doctor for more details. If you miss a dose, skip the missed dose and resume your usual dosing schedule. Do not double the dose to catch up. If you miss 2 or more doses in a row, contact your doctor right away. 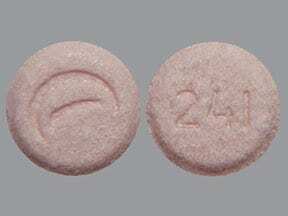 This medicine is a pink, round, tablet imprinted with "logo" and "241". 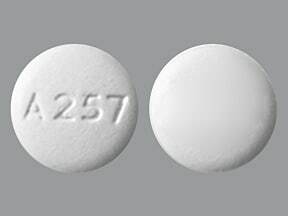 This medicine is a white, round, tablet imprinted with "A257". 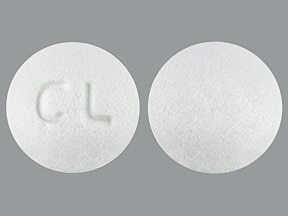 This medicine is a white, round, tablet imprinted with "CL". 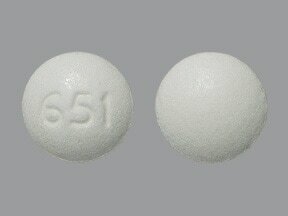 This medicine is a white, round, tablet imprinted with "651". 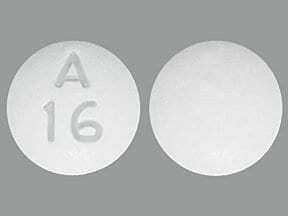 This medicine is a white, round, tablet imprinted with "A 16". 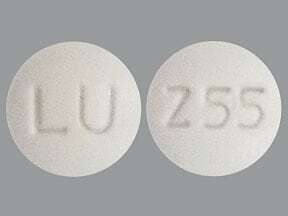 This medicine is a white, round, tablet imprinted with "LU" and "Z55". Are you taking Clonidine Hcl ER? Are you considering switching to Clonidine Hcl ER? How long have you been taking Clonidine Hcl ER?